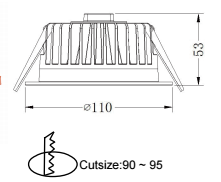 MingFeng, as a prominent China LED ceiling light manufacotry, devotes himself to providing high quality SMD LED Ceiling lighting for the replacement of traditional down lights in residential, museum, office and commercial applications. 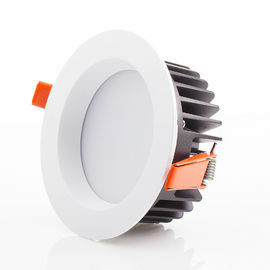 The Ming Feng ceiling light Model MF-TD213 is covered by unique milk frosted cover, it makes the soft light , protecting eyesight, providing harmonious atmosphere for living. And with the beam angle 100°. And our ceiling light is perfectly replaces traditional lights, our products are adopting high density die-casting aluminum, excellent hear sink, spaying white painting to run of color and elegant appearance. Applied to relatively humid conditions of the outdoor lighting, bathroom, indoor car park , hotels...etc. High output SMD EPISTAR Or SAMSUNG Chips. 90 degree flood beam angle, soft light effect. Life to 70% lumen maintenance, 50,000 hours. 3 or 5 years guarantee.